Multiple sclerosis can manifest in many different ways. Anything wrong with neurological system can be a sign. The most common symptoms of Ms are usually autonomic, visual, sensory and motor problems, but the disease can manifest itself in many other ways as well. Early signs of ms show that the most common symptoms of multiple sclerosis are diagnosed occasionally of damage of nerve fibers. A person with multiple sclerosis may experience decreased sensitivity, tingling, numbness or weakness in muscles. There can be troubles with moving in general or reflexes, but also balance or coordination may become worse than normal. Speaking and swallowing might also become a problem. The disease can be painful and make a person tired. When it comes to psychological side, multiple sclerosis can affect mental health and cause depression or mood-swings. The severity of the disease can be measured with expanded disability status scale. Statistics show that 85% of patients had their first multiple sclerosis symptoms as clinically isolated syndrome. Symptoms are usually mild at first, but can very suddenly progress to extreme, after which they again improve. This pattern is very common for patients suffering from multiple sclerosis. However, it is not unusual for the disease to gradually get worse over time, but only 10-15% of diagnosed experience multiple sclerosis in this way. Relapses mainly happen without any prediction or warning. Fortunately, in most cases they don’t attack more than twice a year, and often happen in the spring and summer. If it comes to any sort of viral infection or stress level is higher than normal, the risk of relapse is increased. Pregnancy can be a short-term cure for women, but after the delivery, the risk increases. Over time, different events were believed to trigger the relapse, such as vaccination or psysical trauma, but so far no connection is found. 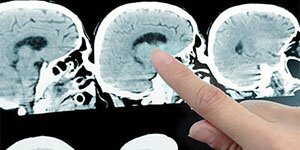 Early symptoms of multiple sclerosis can disrupt the function of patient’s nervous system, which can result in various signs and symptoms including both physical and mental, sometimes even psychiatric problems. 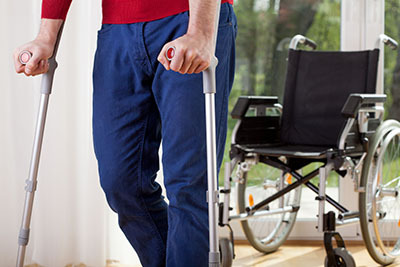 Spasms in various body parts, a sudden involuntary muscular contraction or convulsive canal movement can all be early warning signs of MS. Risk of triggering attacks becomes more common as the time passes, therefore diagnosis in early stage of multiple sclerosis can be very beneficial for patients with these symptoms. Initial symptoms of Ms attack typically occurs in two patterns: the first can be described as episodic deterioration that can last from several days to several months followed by gradual improvement of disease condition, and the second is gradual worsening and development of distinguished disease symptoms through a longer period of time without a significant recovery period, which is common in 10-15% of patients diagnosed with Ms disease. 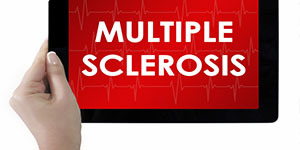 Ms symptoms diagnosis and how symptoms of Ms can be diagnosed? Ms disease can be manifest in variety of different problems, can affect many different parts of a body.